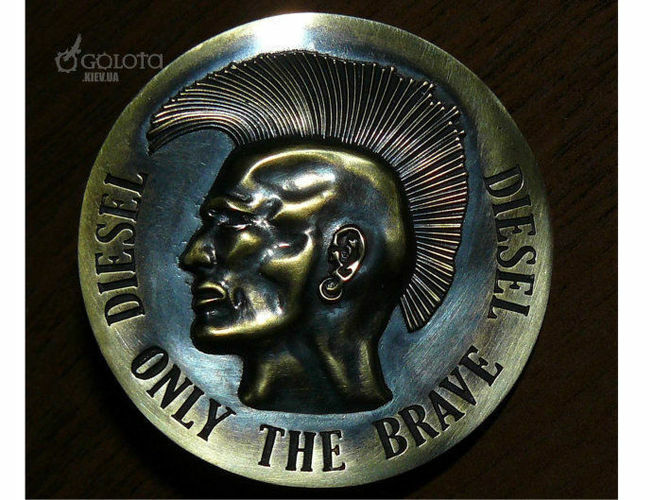 Diesel only the brave The mine author's entirely voluminous replica of the branded buckle. It was made to order of the customer, who lost the original buckle, but on sale there were only simplified cheap flat versions of the belt. I did not see what the original three-dimensional version of the buckle looked like, and modeled to my taste by a black and white graphic picture. And was it even at all? I have not found a photo on the network. Use the opportunity! Can make pendant, keychain or ring with this punk by demand.